The Brianna is the chicest accompaniment for moonlight revelry. 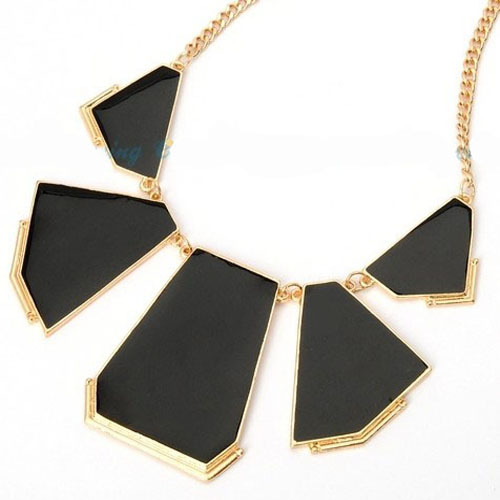 A contemporary design showcasing smooth and irregular acrylic stones in noir, set in gold cast metal on chain. Our pick of the Black Beauty necklaces.